Looking for help to battle pimples and acne? 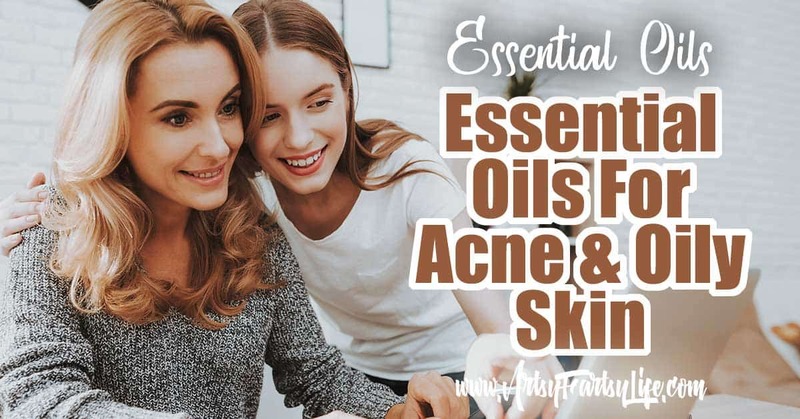 Here are the different essential oils that my teenage daughter and I use to help clear up acne, pimples and oily skin without drying out our face in the process! Tips and ideas to achieve clear skin with these DIY roller ball and toner recipes to help with spot treatments and overall skin care. When someone says oily skin, you think “teenager,” but women of all ages have oily skin. 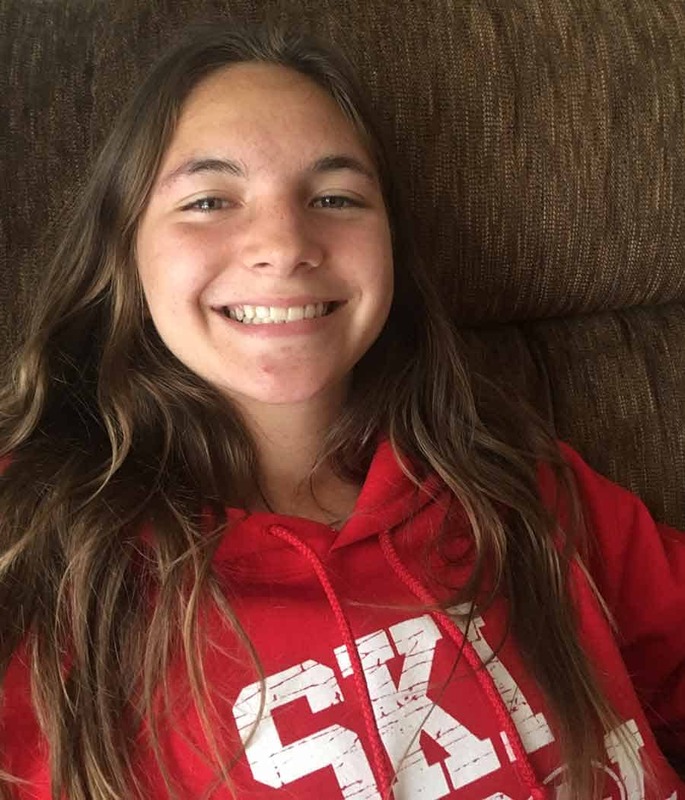 In our house my teenage daughter has acne, but as I am getting more into menopause pimples have reared their ugly head again… seriously? 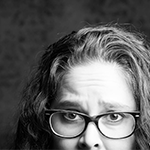 Menopause AND acne… sigh. On one hand oily skin is a great thing because as you age it won’t show on your face. On the other hand nothing feels, grosser for lack of a better word, then greasy face or hair. The usual go-to to treat oily skin are astringents that over dry your skin, harsh soaps that do the same thing and avoiding adding moisture to your skin. Over drying with soap and astringents and not moisturizing strips skin of the natural oils, or sebum, that your skin makes. When that happens, your skin over compensates by making more sebum, making it oilier and more prone to break outs. This starts a really bad downward spiral that essential oils can help stop! This same thing happens with your hair, if you are interested, check out this Essential Oils shampoo post too! What does this mean for using essential oils for acne prone skin? Why use an oil to combat an oil? It seems counterintuitive, but many essential and carrier oils are anti-inflammatory and antibacterial. Breakouts and acne are caused by bacteria as well as overproduction of sebum. 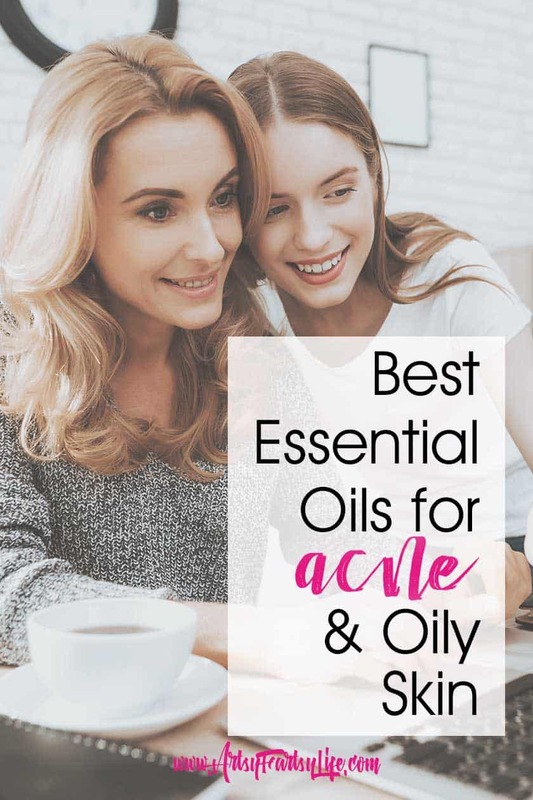 What’s more, while cleansers and such don’t do anything but clean, essential oils are also jam packed with vitamins, amino acids and anti-oxidants to heal, protect and hydrate. It is a very light oil and it’s the closest in structure to sebum. 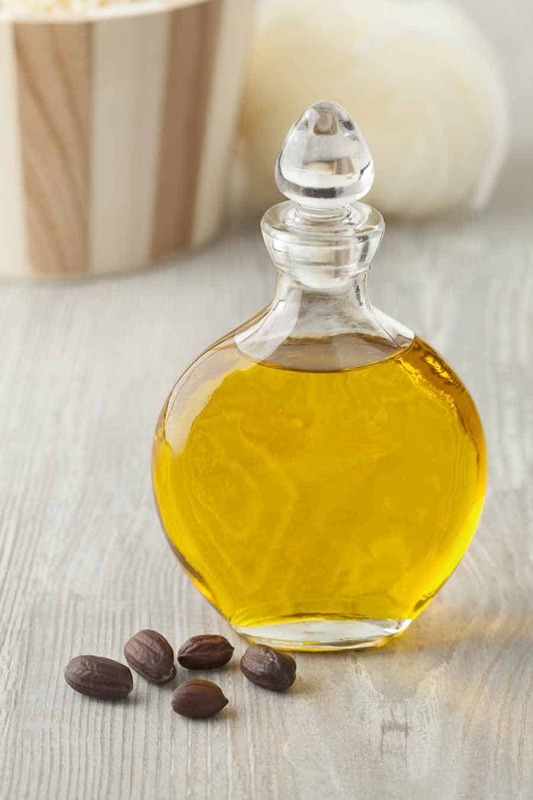 Because of that jojoba oil tricks the skin into stopping the overproduction of sebum. It also helps to carry the oils into the deeper layers of the skin. One of the great things about essential oils is that you can mix and match them all different ways depending on what your skin needs. The worst thing about essential oils is that people give you a huge list that you feel like you have to get them all to make a difference, but that is just not true! My suggestion is to get a roller bottle, fill it up with a few and see if they help your skin. THEN add more or less depending on what works for you and your skin. Tea tree, eucalyptus and lavender: I grouped these together because they all have powerful anti-bacterial properties that will soothe and treat pimples. Tea tree also is antiviral and antimicrobial and helps to clear clogged pores and is mild enough to use without diluting. Rosemary: this oil has antibacterial, antiviral and antiseptic properties. It helps balance oily skin and treats pimples, including blackheads and whiteheads. Peppermint: peppermint cools the skin while controlling oil production. It also stimulates blood flow and reduces inflammation. You can use it on sunburn for immediate relief. Avoid using if you’re pregnant. Ylang ylang: this oil is great to use to balance sebum while retaining moisture and calming any breakouts. It’s also mild, gentle, has a beautiful, floral scent and antiseptic and antimicrobial properties. Geranium: this oil is great for any skin type because it balances the skin by regulating sebum production. It’s astringent effect to tones and firms and it also promotes circulation and healing of scars. Geranium’s anti-inflammatory properties may help minimize red, dry, irritated skin as well. Clary sage: an ingredient in this oil called linalyl acetate, reduces skin inflammation and works as a natural remedy for acne and skin irritations, while regulating the production of sebum. It also curbs the growth and spread of bacteria. 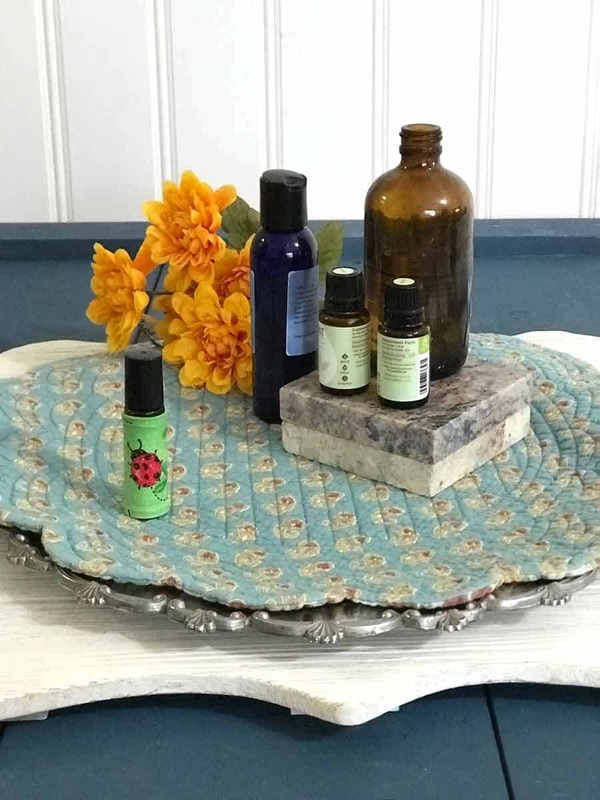 Mix 5-10 drops of each with a carrier oil like joboba to fill the roller bottle up. I like to use almond oil or coconut oil for my face but you could also use jojoba oil which is actually the “official” oil for faces! Our mix is 10 drops each Peppermint, Rosemary, Eucalyptus, Tea Tree and 20 drops of Lavender. Now, if you are like me and used to stripping your skin with astringent like Seabreeze or alcohol, this is going to feel WEIRD! How can putting more oil on your face make it less break-outy? Well, we were given bad intel when we were young so we have to unlearn how this all works now! Cute roller ball cover from Oily Raggs on Etsy! What Other Essential Oils Are Good For Acne? Alright, those were oils that many people might have on hand. Here are a few more (some that have “issues”) that might take them out of contention for your skincare. Aloe vera: If you’ve ever used aloe for sunburn, aloe vera essential oil also heals and calms. It reduces redness and inflammation and cools the skin, and has vitamin C, E, B, allantoin, minerals, proteins, amino acids and beta-carotene which actively repairs skin. Lemon: it’s a powerful astringent, reduces excess sebum, tightens large pores and has strong antibacterial properties which help fight acne and blackheads. Lemon and other citrus oils can make you photo-sensitive so only apply it when you are staying in. If you plan on a trip out in the sun, forgo using lemon. Living in Florida I avoid the citrus oils just on general principles for skin care…although I use them ALL THE TIME for cleaning and mood! Myrrh: Ok, so all you mature women still fighting oily skin and breakouts, listen up! Myrrh is incredibly anti-inflammatory and healing for the breakouts, while treating wrinkles and lack of firmness. It smells good too! That said, it has a super thick consistency that doesn’t work as well in the roller balls as some of the other oils so I leave it out! Patchouli: this is anti-inflammatory, antiseptic and astringent, while working to tighten open pores, kill acne-causing bacteria, and calm inflamed skin. It’s an earthy smelling oil so you may want to use it in a mixture with other oils to offset the earthiness. Roman chamomile: this oil is fantastic for calming breakouts by easing inflammation and redness. Chamomile will balance the skin’s oil production, tone and soothe the skin, and stimulate circulation. That way you can deal with excess oil naturally. Juniper berry: this oil has natural antibacterial and antimicrobial properties making it a popular choice to heal skin irritations and infections. It also has detoxifying and stress-reducing properties that protect the body against toxins that lead to acne. Use separate or mix your favorites, always in jojobo oil, to keep the oil under control. These oils are great for your oily skin AND your oily hair and scalp. Lavender tones the skin, reduces inflammation and promotes healing. Lavender is gentle enough to use directly on the skin. Neroli is derived from orange blossoms. It’s useful as a toner and skin cleanser. To make your own toner with these oils, fill a spray bottle with lukewarm water. Add a few drops of lavender and neroli oil, then shake well. Spray the solution on oily skin or scalp several times per day. These oils will both balance your skin. Cedarwood oil comes from the bark of the cedarwood tree and is used to normalize both oily and dry skin, while calming and healing acne and other skin conditions, such as rashes, eczema and oily scalps. Fennel balances oily skin without drying it out, works on fine lines and wrinkles and acts like a toner. Use them on skin in either 10 drops of one or the other, or 5 drops of each with 1 tablespoon of jojoba oil. Rub the mixture into your skin and don’t wash it off. Caution: don’t use cedarwood or fennel if you’re pregnant. Well there you have it! All the different types of essential oils you can use to help your skin be less oily and remain acne free. Honestly, when I first hear about putting oil on my skin I was a bit taken aback, having spent my whole life stripping the oil with astringents, but now that I am in a groove of caring for my skin, I really have noticed a difference. My skin is smoother and less prone to breaking out (which at 52 is a blessing). But I am also happy that I haven’t passed down all the bad advice I got from my mom about how to care for skin as a teenager.